UPDATED Private equity-backed alternative business structure Parabis Group has today been broken up into seven pre-pack sales after entering administration, as first predicted this morning by Legal Futures. The defendant law firms have been bought by the Parabis’s founders, while the claimant business has been split between Bristol-based Lyons Davidson and Manchester firm Carpenters. A statement issued this afternoon by business advisory firm AlixPartners Services said that Peter Saville, Ben Browne and Anne O’Keefe have been appointed joint administrators over “a number of entities within the Parabis group”. “Immediately following the appointment a series of sales were effected in relation to the group’s legal services, rehabilitation and field services divisions. 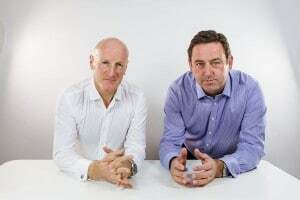 The founders, trading as Plexus Law Ltd, have acquired the defendant law firms Plexus Law and Greenwoods, together with the consumer law element Cogent Law and claims management business Parabis Claims Solutions. This is the largest element of the business. 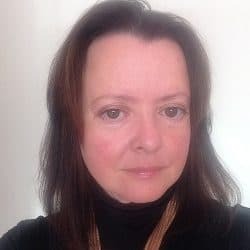 Lyons Davidson has bought part of the claimant business of Cogent Law, together with the joint venture with Saga, with Carpenters the other part of the claimant business. Well-known medical reporting organisation Premex has bought Argent Rehabilitation, the rehabilitation and medical reporting arm, and, through a different company, Argent Investigations. Argent Health & Safety appears to have been bought out by at least one of its founders, Tim Oliver, the former senior partner of Parabis, who, as we reported this morning, has decided not to be involved in the main buy-back of Plexus. Davies Group has acquired Argent Property Adjusters and Argent Liability Adjusters. Mr Saville said: “The group has been in discussions with its lenders and private equity backer for a prolonged period with a view to restructuring what is a complex business operating in an increasingly challenging legislative environment. “Despite the receipt of further support from its financial stakeholders, the group was unable to resolve its cash flow issues and sought to market itself for sale. As a result of that marketing process it became apparent that in the current environment a sale of the group as a whole was not a viable option and the liabilities attached to group entities also precluded a solvent sale. “A series of business and asset sales was therefore agreed with the transactions completed by way of a pre-packaged administration preserving over 2,000 jobs in more than 20 separate office locations across the UK. “Throughout this complex and frequently challenging restructuring process we have been consistently impressed by the quality and professionalism of the Group’s management and staff and we wish all parties success for the future. Plexus Law employs more than 1,000 people, and said in a statement this afternoon that it will offer “a full range of high-end legal services to the insurance market from offices throughout the UK including London, Edinburgh, Leeds and Manchester”. At the helm will be an executive team led by Andrew McDougall as chief executive officer, Tim Roberts as commercial director, Hilary Yeo as operations director and Nick Addyman – who had left the business after the deal with Duke Street Capital – returns to head up the consumer law division. 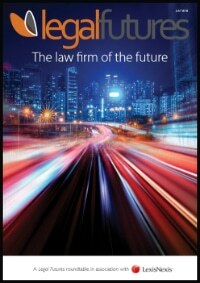 Existing practice heads and operating partners within the law firm will continue in their roles in the new business. Mr Roberts said: “This is the dawn of an exciting new chapter. We are building on the bedrock of strong relationships with our insurer clients and a great team of legal and support staff. “We have a comprehensive service offering of the highest quality, the best people to help us deliver this and a sound platform from which to build the business going forward. In time we will look to build on the stability today’s transaction affords and further develop our service offering, including our consumer law operation. In a report on Saturday, Sky News said: “Parabis’s break-up is expected to result in a haircut for its lenders, which include the state-backed Lloyds Banking Group and Royal Bank of Scotland. “One insider said the series of disposals would raise just over £50m, less than Parabis’s £70m of debt. 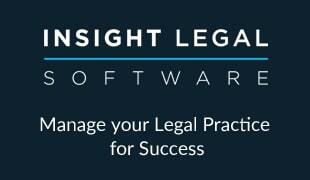 Legal Futures understands that around £150m in senior debt and loan notes could be written off. Meanwhile, another private equity-backed law firm, Knights, has announced that it is in “advanced talks” to acquire Oxford-based Darbys Solicitors. The acquisition is expected to complete in early January – with Darbys transferring to the Knights brand. Knights will reach a combined turnover of £40m and employ more than 300 professionals across seven offices, to include three of Darbys’ current locations – Oxford, Manchester and Colchester. Knights CEO David Beech said the deal would place the firm in the top 100 UK law firms by revenue, a target it had planned to reach in 2017. Mr Beech added: “We see this deal as the catalyst for our next period of growth. We will be looking to continue our acquisition programme throughout 2016 and beyond to pursue our passion to be a leading regional professional services business. 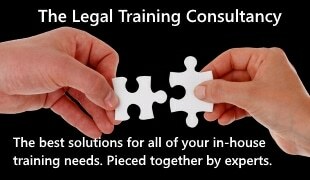 “It is an important part of our strategy to provide integrated solutions to our clients with legal services being part of a wider offering. Knights is “actively seeking” professional services businesses to add to its core law offering, with the focus on regional accountancy groups, tax specialists and real estate advisory organisations located outside of the cities of Birmingham, Manchester and Leeds.